FILE - In this May 21, 1973 file photo, Spanish surrealist painter Salvador Dali, presents his first Chrono-Hologram in Paris, France. A paternity test has disproved a Spanish woman's claim that she is the daughter of surrealist artist Salvador Dali, the deceased painter's foundation announced Wednesday. Abel has long alleged her mother had an affair with Dali and claimed she had the right to part of his vast estate. The foundation said it was happy the "absurd" claim had been resolved. Calls to Abel's lawyer rang unanswered. The high-profile paternity claim led to the exhumation of Dali's embalmed remains so genetic samples could be taken. Forensic experts removed hair, nails and two long bones in July. The foundation, which manages Dali's estate on behalf of the Spanish state, said at the time of the exhumation that Dali's remains — including his famous mustache — were well-preserved and mummified after an embalming process almost three decades ago. The foundation said the painter's remains will be returned to his coffin, which is buried in the Dali Museum Theater in the northeastern Spanish town of Figueres, Dali's birthplace. 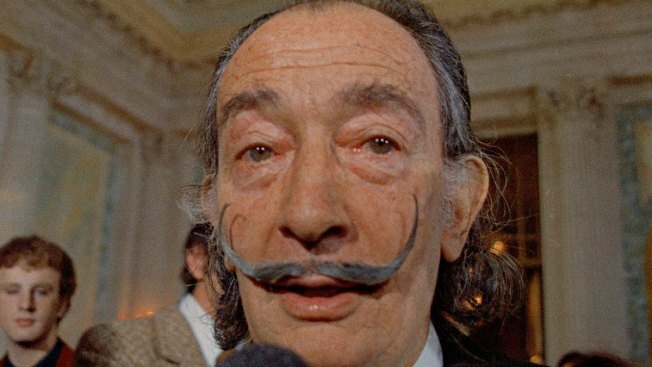 Dali died at age 84 in 1989.